The much-anticipated Dallas Midtown development broke ground Friday, June 23, at a press event attended by its most enthusiastic backers. The 430-acre development at the corner of Preston Road includes the site of the shuttered Valley View Mall. It has been in the making since 2009, when then-City Councilwoman Linda Koop brought together various stakeholders to create an urban village linked via existing roads, trails and a trolley system. Koop is now a Republican state representative whose district no longer is confined solely to Dallas. She was among the enthusiastic officials at the event. “This development will create a city within a city. With restaurants, shopping, housing and office space, Dallas Midtown will completely redefine this part of Dallas,” Koop said. Those entertainment destinations include a 183,000-square-foot Life Time Fitness facility featuring residence, working spaces, large aquatic and workout studios. The residential component, called Life Time Living, is a new concept for the health and wellness company. When completed, the Life Time facility will be the brand’s largest in the country. The other anchor is a 10-screen Cinépolis movie theater. The chain is known for its high-quality reclining chairs, full-service bar and gourmet snacks. Also announced were plans for more than 1,000 apartments, 400,000 square feet of retail, 500,000 square feet of office space and an 18-story luxury hotel. The hotel brand will be announced soon. The development will ultimately surround Midtown Commons, a previously announced 20-acre park backers call the centerpiece of the development. Jaynie Schultz spoke at the Midtown groundbreaking. “If we pull together and our corporations and foundations rise to the moment, our children and grandchildren will see Midtown Commons as a second home,” she said. 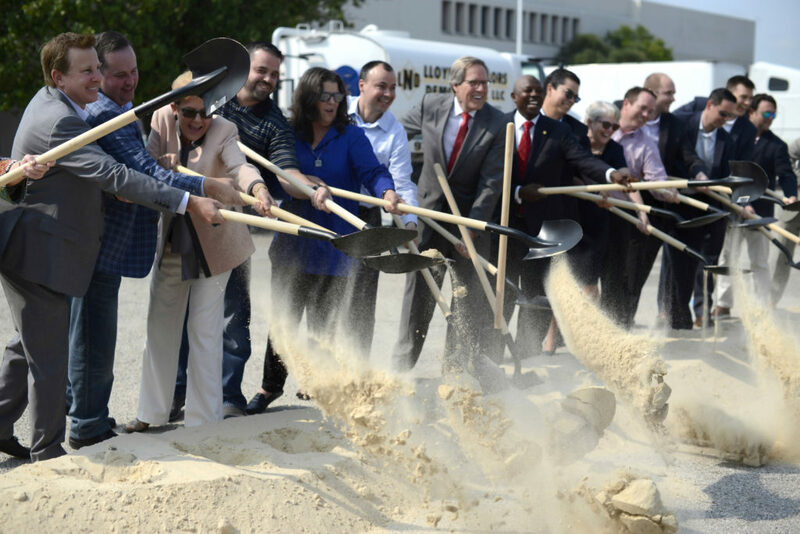 At the groundbreaking was developer Scott Beck, CEO of Beck Ventures, who has been involved since 2012, when his company acquired the Valley View Mall site. Like others in attendance, Beck noted the project is not just another north Dallas infill site. Dallas Midtown will compete with the city’s northern suburbs, like Frisco and Plano, which are increasingly attracting more corporate relocations. The development also benefits the southern part of the city too. Dallas Midtown is a designated tax-increment financing district, or TIF, a commonly used method for public financing community-improvement developments. The TIF funds a “desperately needed” redevelopment of Southwest Center Mall in South Dallas. Beck previously told the TJP Midtown would bring billions of dollars of revenue to the region in the next 30 years. Of that, a significant portion will go toward redeveloping Southwest Center. 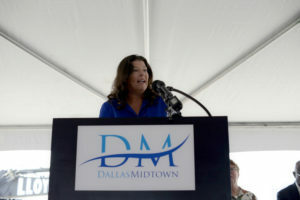 “Dallas Midtown will become a major economic driver for the city of Dallas. It will strengthen our tax base and help our city lure and retain corporate headquarters. This is an extremely desirable site and this is the perfect way to develop it,” said City Councilman Tennell Atkins, who represents Southwest Center. The overall impact will not just be the 430-acre development. The entire region will benefit, too. That’s what makes it historic. “Our family and the Beck Ventures family of companies are honored to be the stewards of Dallas’ most crucial transformational project this century,” Beck said in a statement.